Ideally situated between the sea and the countryside, in a peaceful, restful setting just 1.5 kilometres from Baud, these three houses provide wonderfully comfortable, well-appointed accommodation. There is a covered, heated swimming pool, outdoor games area and large, safely enclosed garden which await you with the promise of an authentic, peaceful and convivial holiday. a hamlet of farm buildings in a very special setting, sensitively renovated in keeping with local architectural style. These cottages are named after the nearby River Blavet locks of Treblavet, Minazen and Rimaison. ** There is a new room with three beds, shower and toilet, above the information cottage which would be suitable for teenagers, if you need extra, room only, accommodation. The rental is £120 per person/week in peak season; £100 in high season and £80 in mid season. Sorry no bookings for all houses by the same group. 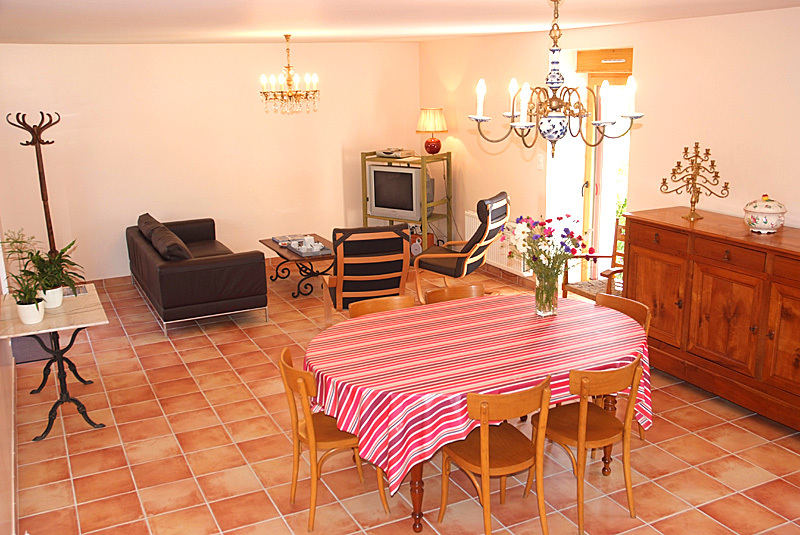 Minazen is a beautiful, traditional cottage adjoining Treblavet. It has been restored sensitively in the Breton architectural style. With its covered and heated pool, shared by the three cottages, Minazen, in its calm, peaceful setting, will enchant you. Your quiet privacy is ensured by the hedges and banks that protect the sunny garden. 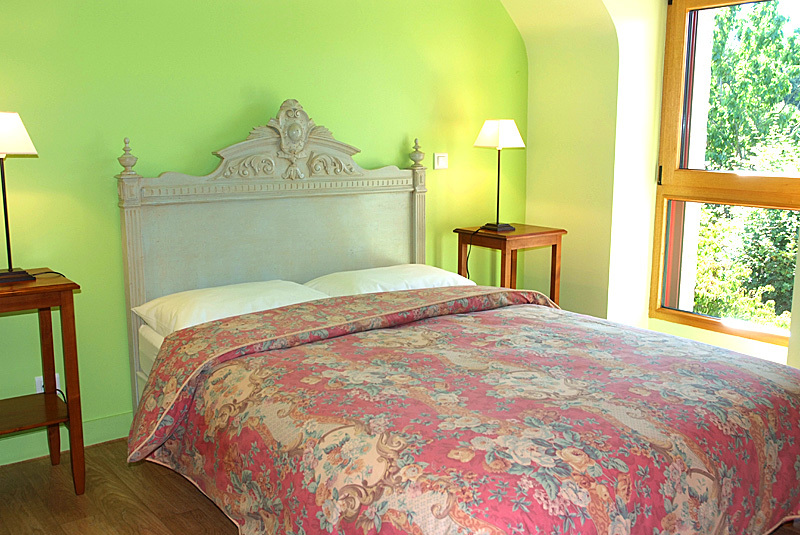 The functional design and tasteful décor of this lovely cottage offer guests every comfort. On the ground floor you will find a fully equipped kitchen, with dishwasher, full oven, microwave etc and a large living dining area with English TV. Downstairs toilet and utility room with washing machine and tumble drier. Upstairs there are two bedrooms: one double room and one family room with double and two single beds. Also a shower room and second toilet.